While Americans prepare to elect their next president on Tuesday, Egyptian Christians are leaving this Sunday’s choice for their highest leader up to a higher power: God. On November 4, one of three final candidates will succeed Pope Shenouda III, the beloved “pope of the Bible” who died in March, as the 118th patriarch of Egypt’s Coptic Orthodox Church. 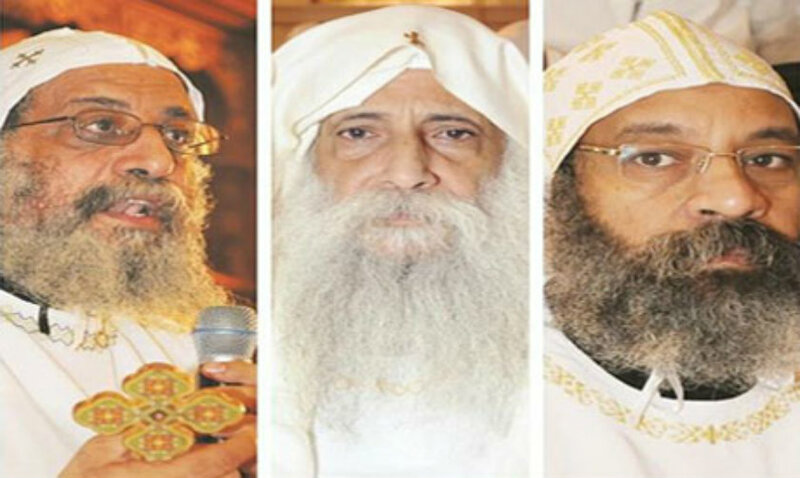 But in contrast to the “group consensus” method used to select Roman Catholic popes, the casting of lots will determine whether Bishop Raphael of Cairo, Bishop Tawadros of Beheira, or Father Raphael Ava Mina, a monk from the Monastery of St. Mina near Alexandria, becomes the next spiritual leader of Egypyt’s 8 million Orthodox Christians. This excerpt is from my article describing the papal selection process for Christianity Today. Please click here for the article in full. First, all observers declared the election process prior to the lot was very organized, clear, and transparent. A limited pool of around 2,400 electors brought the number of candidates from five to three, of whom the lot will fall on one. Some remarked the church wanted to present a picture of democracy and order that has so far escaped the Egyptian transition. Yes, for both parliament and president, democracy has been present and the lines to vote have been orderly. Yet the church has bent over backwards to ensure its election majors on the key missing ingredient in Egypt: transparency. Second, if indeed there is transparency in selecting one of these three names, it presents an unmistakable spiritual picture of leadership to Egypt. One liberally-minded Muslim friend questions the reality of the lot, saying there is no way any large institution can leave their top leadership position to chance. He believes Bishop Raphael will be chosen; tomorrow we will see. I am not sure how to interpret this spiritual picture, if indeed the blindfolded child has three separate names from which to draw. Yet given the wrangling, ambition, and conspiracy that has surrounded the Egyptian presidential contest – with unmistakable religious overtones – the church is saying: We trust in God. As always, statements must be modified. The church is not saying it is a model for the Egyptian state. On the contrary, if anything, it is a rebuke by contrast. As a church we can be clearly spiritual in our leadership selection, but we are all Christians. The state, as a mixed polity, should be clearly secular. If this is the lesson offered by the church, it is received. But it is not received with full transparency. The final choice is for God, and the election from five to three was by an accredited election. But the movement of candidates from seventeen to five was not particularly transparent. Twelve candidates were removed by a committee, and among these were the most controversial and polarizing figures. Of the five that remained, three were of a similar disposition, while two were monks who were largely unknown. Please read the article to learn a little more of this disposition, but if the election from five and the lot from three will result in a similar pope no matter the candidate, where is the transparency? By and large, Copts are very happy with their choices, so there is no need to complain. Furthermore, the church is not a democracy and should not be held to the standards of modern revolutionary conventional wisdom. But on what basis were other candidates removed? Perhaps, simply, spiritual wisdom? This is not the same as transparency, on which democracy rests. Democracy can be transparent yet produce an unwise choice. But spin this differently, and the question is necessary: Is an appeal to spiritual wisdom simply a justification for paternalistic arrogance? Now extend this question to Egypt, as President Mubarak did: Is Egypt ready for democracy? Countless non-Islamists might look at the results and wonder, for they dare not articulate contrary to holy democratic principle, ‘No’. Democracy demands faith in the people, who can be rather fickle and easily manipulated. Meanwhile, countless Islamists recognize ‘faith in the people’ as idolatry. They demand the coming constitution state clearly that sovereignty belongs – not to the people as currently written – but to God. In the above, three models are presented: the reception of a system from God, the full sovereignty of people, and the paternalism that allows choice along a spectrum. Where does wisdom lie? As I stated, I am not sure how to interpret the lessons from the papal selection process to the Egyptian society at large. I sense, however, the observations are poignant. I only wish for their proper translation. « Friday Prayers for Egypt: Terrorist Cell?